Successfully Added 7 Inch Dual Input LCD Monitor - 2 AV input, 800x480 Resolution, PAL + NTSC Standards to your Shopping Cart. 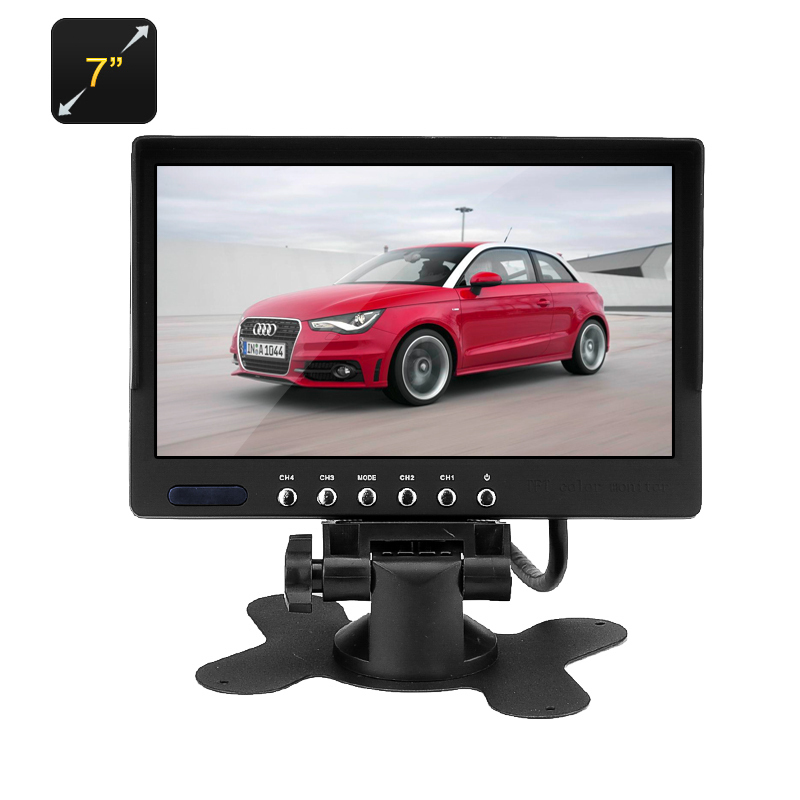 With 2 AV video inputs you can connect this 7 inch car TFT LCD display toe multiple devices such as a DVD player, Sat Nav, Rear mirror camera or dash cam. This is a great way to entertain your passages, or bring you greater detail when following GPS directions. Alternatively hook this 7 inch display up to a reverse parking camera or your cars dash cam for a better view of what’s going on behind and in front of the car. This will make parking easier and save you getting a crink in your neck each time you need to parallel park. With an 800x480 resolutions and 400:1 contrast you get a sharp image with rich colors and 400 cd/m2 brightness makes it easy to see day and night. This will bring hours of entertainment to your passages letting them watch movies or play games and is exactly what you need if you have young children. With its versatile stand you can mount this screen on the center console or other areas in the car and rotate it as you need so as all can see the action. This 7 inch car monitor comes with a 12 months warranty. Brought to you by the leader in electronic devices as well as wholesale TFT LCD Car Monitors, Chinavasion. Good monitor. Long used as a screen to the intercom. Quality is consistent. recommend.